Dare I say it? Back to school time is rapidly approaching. Clothing catalogs are filling our mailbox lately. My daughter was looking through one of her favorites the other day and spotted these applique shirts. See the shirt over there on the left? 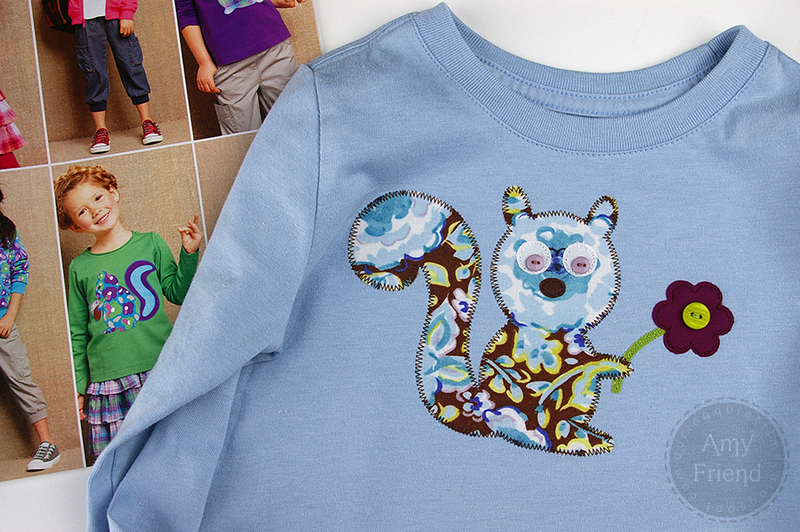 It has a colorful squirrel applique. 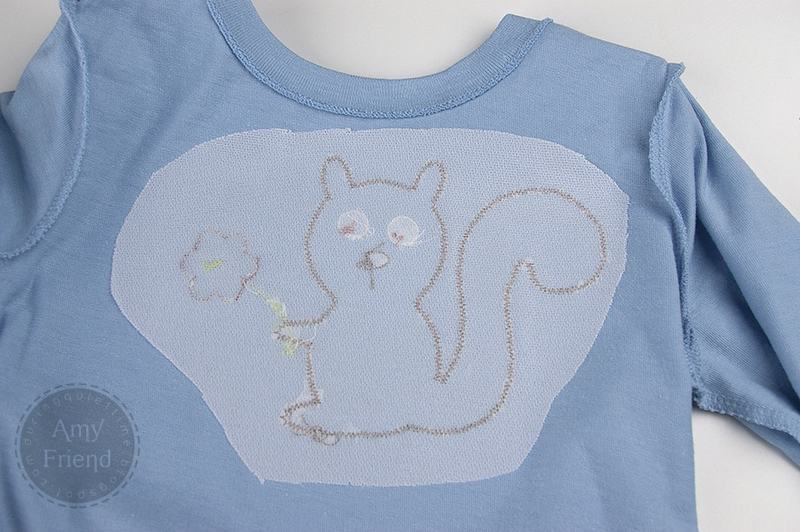 There were other little woodland creatures featured on shirts as well. 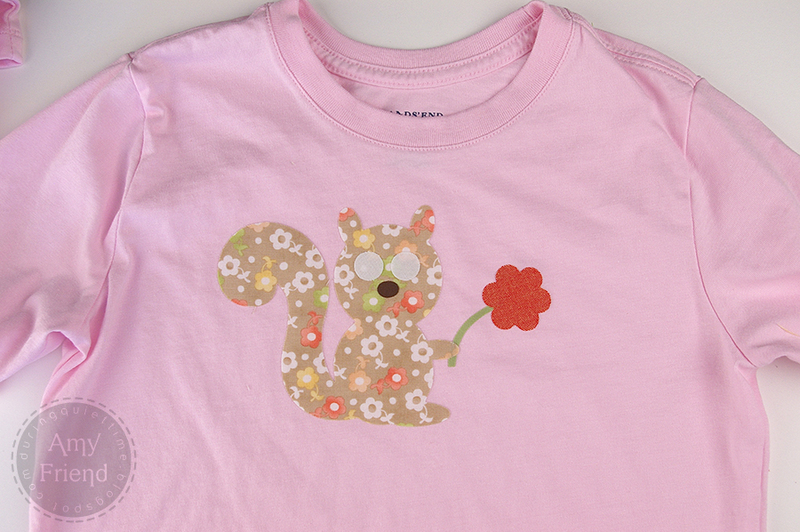 It reminded me of the new Sizzix die called Squirrel and Flower by Dena Designs. 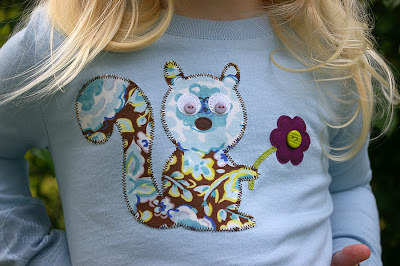 I decided to use the die to make similar shirts for the girls to wear this fall. I started off buying a couple of nice quality tshirts on clearance and prewashing them. I always prewash before appliqueing. I gathered my supplies. In addition to my Big Shot and the squirrel die I also collected some fabric scraps, buttons, Lite Steam-A-Seam 2, Tear-Easy and Sulky Tender Touch. I fused the Lite Steam-A-Seam to the wrong side of my fabric choices. I ran them through my Big Shot and lay them out on the tshirt. Then I used my iron to secure them to the shirt. 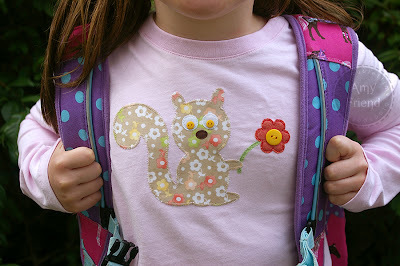 Next, I pinned a piece of Tear Away to the wrong side of the tshirt behind the applique. You can also use an iron on version but this is what I had on hand. The Tear Away adds stability while appliqueing. I changed my needle to a stretch needle and using a tight zigzag, stitched around the perimeter of the squirrel. I used my free motion foot and lowered my feed dogs to stitch around the flower, eyes, nose, and stem with a straight stitch. Then I added some tiny buttons for the eyes and a larger button for the flower center. I then removed the Tear Away from the back of the applique. It tears away easily without pulling at the stitches. Sometimes the applique stitches can irritate sensitive skin so I applied Sulky Tender Touch, an iron on “Cover-A-Stitch” product to the back of the applique. Now both girls have new shirts for school! 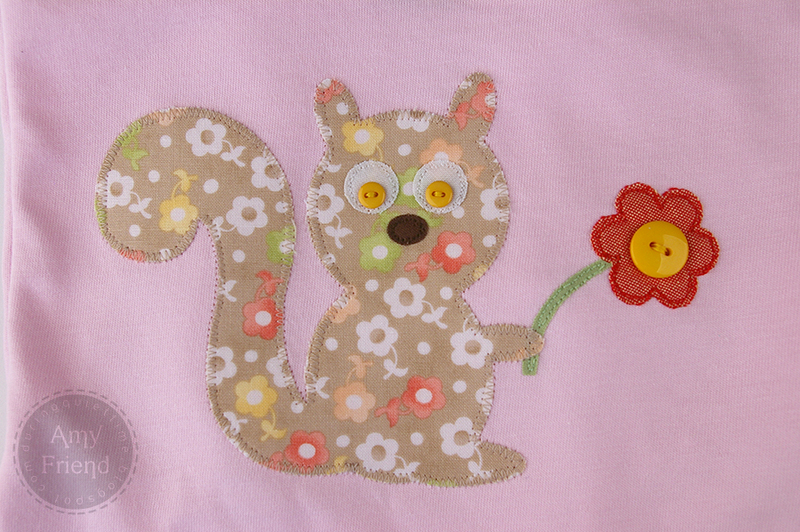 I think that this applique would be adorable on a child sized messenger bag or back pack as well. You can have a lot of fun changing the look with your fabric choices. The girls are delighted.